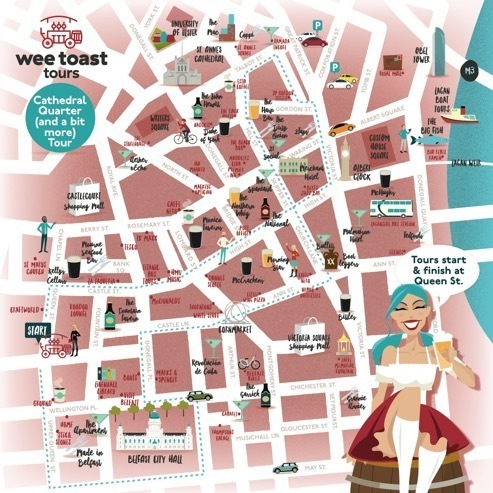 One hour is enough to do a circuit of Belfast Cathedral Quarter with two stops for refreshments. This ornamental fountain was built in 1874 by Belfast’s only Jewish Lord Major. 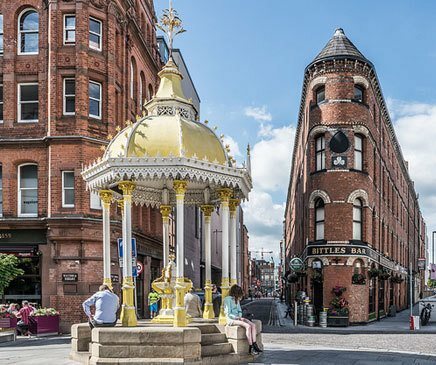 In a nod to the City's architectural past, the impressive water feature has been beautifully restored in recent years and sits at the Victoria Street entrance to the shopping centre and adjacent to Bittles Bar in its iconic wedge shaped building. Don’t forget to make a wish! This cobbled street is home to some of Belfast’s oldest and most beautiful buildings that make up the artistic and ambient ‘Cathedral Quarter’. 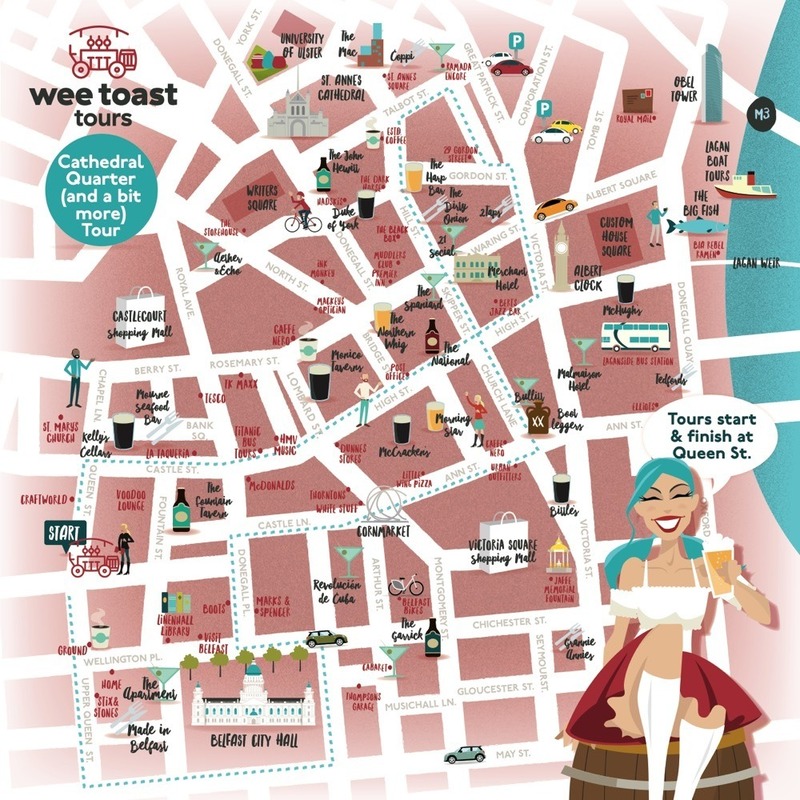 Soak up the architecture or duck into one of the many pubs or restaurants here off a series of alleyways to enjoy an authentic Belfast welcome. Named after the Cathedral, the oldest part of the City has evolved from Belfast’s old trade and warehousing district to a happening area with a very cool arts scene. You cannot fail to be impressed by the grandeur of this five star hotel based on Skipper Street which was formerly a bank. Just inside the revolving doors is not only one of the largest chandeliers in Ireland but an award winning cocktail bar and restaurant. The immediate area also has several great pubs and bars and nightclubs and is a short walk to the river. 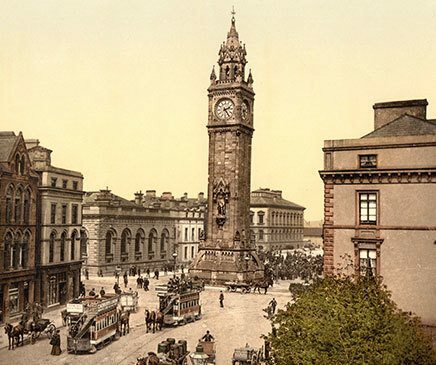 Belfast’s answer to the leaning tower of Pisa, this is one of the City’s best-known landmarks. The sandstone clock was constructed between 1865 and 1869 and stands 113 feet tall in a mix of French and Italian Gothic styles. The base of the tower features flying buttresses with heraldic lions. As a result of being built on wooden piles on marshy, reclaimed land around the River Farset, the top of the tower leans four feet off centre, which can make you feel a bit giddy when looking at it. If you want to party until the wee small hours and you like an eclectic mix of music then this the place to be! 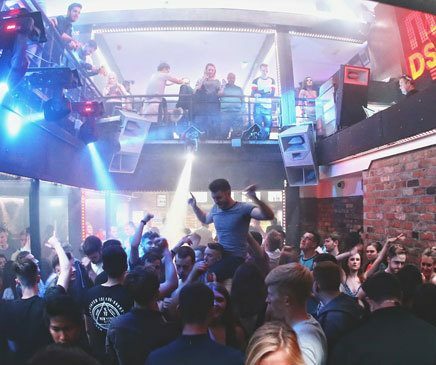 Nestled down an alleyway behind City Hall this club has been one of Belfast’s most popular nightspots for 20 years and is a popular destination for the under 30s. If you’re after something a bit more sophisticated then this is the nightspot to check out. 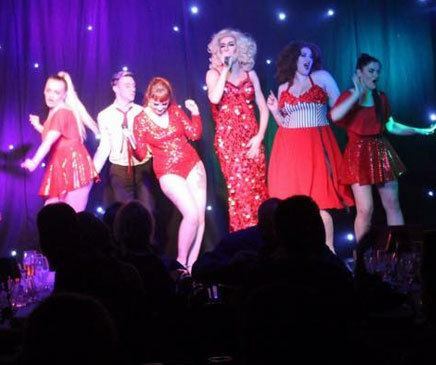 Reminiscent of 1920’s Holywood, you can enjoy live jazz, burlesque, magicians, comedians, bands and local artists while you eat and drink. Head upstairs for a more intimate atmosphere at the Tree House where you’ll find tasty food plates and a range of events on offer. One of Belfast's best kept secrets and certainly one of the city's most interesting drinking spots, we love this narrow, atmospheric bar for it's history and provenance. 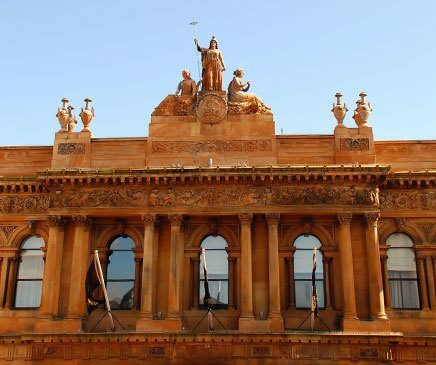 Founded in 1868 and famous for it's extensive whiskey collection as well as it's eclectic artwork displays, this wedge-shaped corner building is well worth a stop. 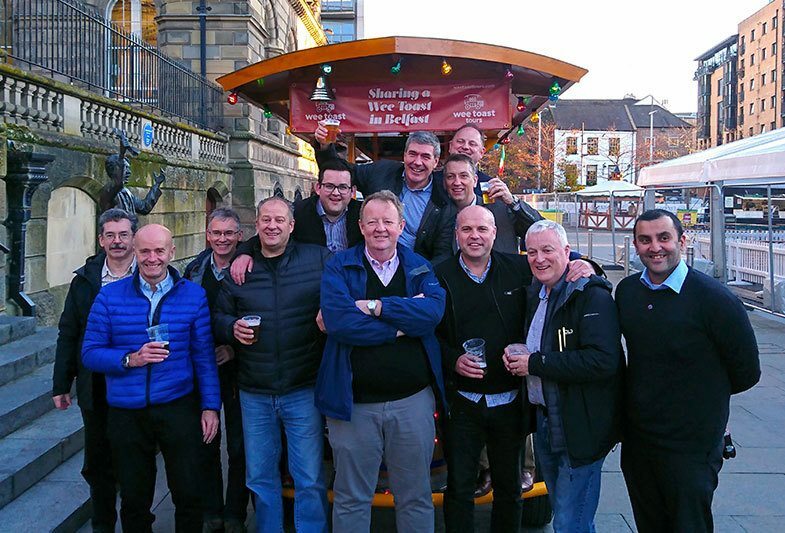 Perhaps one of the most well known pubs in Northern Ireland – this is a traditional Irish pub at it’s best. 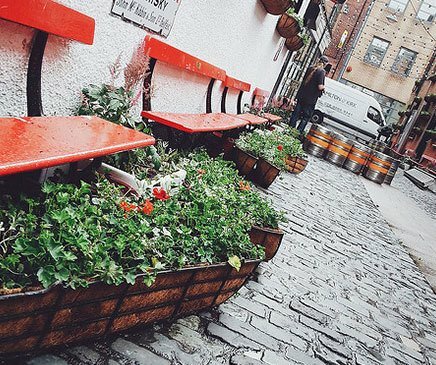 Head inside and order a pint of the ‘black stuff’ or sit outside on one of the alleyway’s iconic red benches. 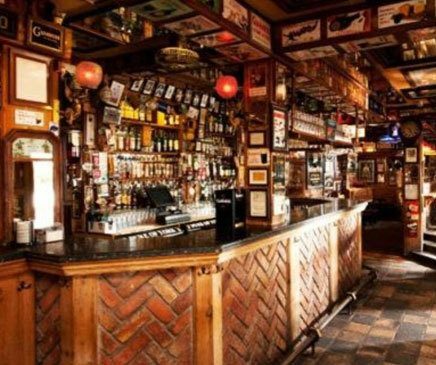 The interior is decorated with framed football programmes, mirrors advertising old whiskey brands and artefacts from Belfast's newspaper industry. Hosting regular traditional sessions there is no better place to sample a real taste of the City.